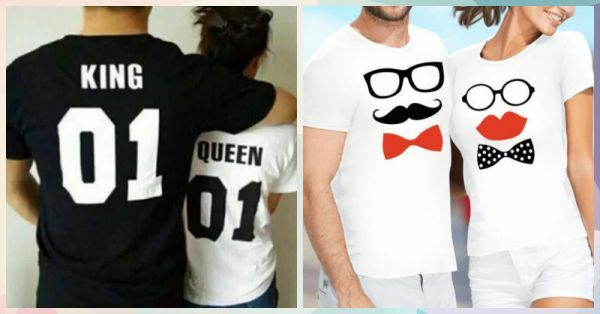 15 Super Cute Couple T-Shirts You Can Wear With Bae! When you’ve found ‘the one’ you can’t help but let the whole world know about it. And we aren’t talking about cheesy status updates or mushy songs. That’s so last season! What do you think about matching t-shirts you could wear with bae? Up your style game a little with these 15 couple t-shirts that are all you need to show your love! Heading for a theme party? Give the crowd major #RelationshipGoals by matching your tee with your boyfriend! ‘Coz you’re his queen and he’s your king, there’s no reason to hide it from the world! If you’re a couple that’s high on style, these shirts with bird prints is a must have! It’s a sweet and subtle way to match your outfit with bae! Just like donuts and coffee are the best combination for breakfast, you two are the best for each other! Gift him this t-shirt on his birthday to flaunt your love for him. ‘Coz pizza is bae but so is he! Be the pepperoni to his margarita and let him know that without each other, you two are simply incomplete! A couple that watches cartoons together, stays together! What better than this mickey and minnie mouse t-shirt for a couple that is obsessed with disney toons? We love it! If puns and mush define you two as a couple, this T-shirt is just the thing you need in your life! Get over cheesy, and get some butter in your love life! Because the world is a better place when you’re listening to music! So grab an audio splitter, turn on the music and wear this cutesy tee to get lost in a world of your own. Nerdy and all things cute, this t-shirt is for the geek chic couple. Wear it for a date together for a picture perfect selfie! We found something that’s perfect for the super couple! 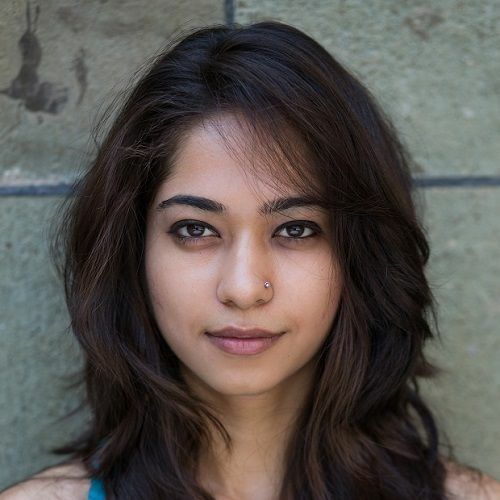 You don’t need a superhero when you’re one yourself, right? Get this tee to show off your super love! Isn’t this simple, quirky t-shirt such a cute way to match your look with him? A little giraffe peeking out of the pocket of your tee has got to be the cutest thing you’ve seen all day! When your boyfriend is your best friend he’s obviously your partner in crime too. Make your adventures together even more fun with this notorious tee! Up your style game with bae by investing a relaxed fit tee like this one. With adorable embroidery, this one’s too cute to resist! Whether or not you’re a minion obsessed couple, this tee is too cute to be true! Believe that he’s your one in a minion? Get this one to show him some love! Be the burger to his cola, girl! The two are incomplete without each other. No really, can you imagine eating a burger without having some soda? Whether it’s love for noodles or love over noodles, either way this t-shirt is too cute to resist! Love them all, don’t you?